The organisers of National Biomechanics Day and the 36th International Society of Biomechanics in Sport Conference are hosting a day-long workshop exploring ways to teach biomechanics in the classroom. Anyone who wants to learn new teaching strategies for incorporating biomechanics into their curriculum. Teachers will have the opportunity to work side by side with leading biomechanics instructors/researchers from across the world. There will be a focus on creating hands-on experiential learning opportunities to achieve science and physical education outcomes (TKI levels 5-8). The workshop will run from 8am to 3pm on Monday, 10 September 2018. All activities will be conducted in the cutting edge research facilities at AUT Millennium. The workshop will cost $85 per attendee if you register before Tuesday 10th July. After 10th July, it will cost $110. The cost includes morning tea and lunch, plus summary details from the presenters and designed activities from the interactive workshop. We encourage teachers from outside of Auckland to attend: there are travel scholarships available to help reconcile costs associated with flights and accommodation. Apply for a scholarship to support travel to the Biomechanics day. 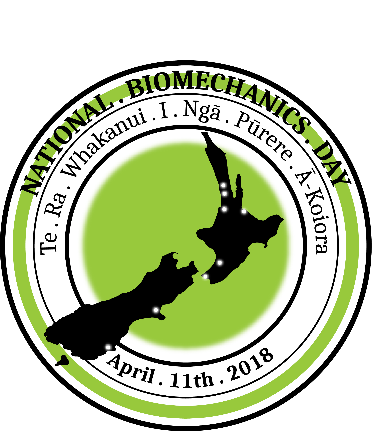 Details about these scholarships and how to register will be advertised via the PENZ website and NZ National Biomechanics Day Facebook page in May 2018. Email Sarahkate.millar@aut.ac.nz and provide the following info: Name, School, School decide rating, Email address, NZ Region, Up to 200 words about how you plan to implement information from the biomechanics day to engage with students. Applications for scholarship travel funding is open until June 1st at 4pm and successful participants will be notified by June 15th. Contact Sarah-Kate Millar or Sarah Shultz with any questions about the day.